I sat down to write a post reflecting on 2017 but couldn’t decide where to begin. To say that 2017 was a big year is an understatement. Not just globally or politically, but personally, as well. Even narrowing my focus to our lives, I’m not sure where to start. Our lives look completely different today than they did a year ago. We might as well be two different families, tied together by the common thread of a child and a family living with epilepsy. We sold our first house back in Colorado and used the proceeds to buy and move into a place here in Philadelphia. Our Colorado house was the one we brought our son home to and it is where we made all our first memories with him. We were able to tour it one last time before we signed the paperwork, which provided some closure. But it was not without the pains of recognition of a life that might have been. Around the same time, I started a new job. I’m still in the same company, but doing something completely different. In some ways, I’m going back to my roots by taking on a brand new challenge. It feels good to be excited to go to work again, and to feel like what I’m doing is making a difference. For a while, it felt my like half of my life was my job and half was my family, and both were spinning out of control. Things are only now starting to level off, but for the first time in a long time, I can take a breath. We lost both our primary neurologist and our nanny. Our neurologist was there from the beginning. She knew my son and was our lighthouse during the stormier times. When she decided to continue her studies in epilepsy, we selfishly hoped she could do it at our hospital. But her path took her elsewhere. We miss her, but she left us in good hands. Our nanny came into our lives when we needed her most. When my son was at his worst medically and behaviorally, she jumped in and rescued us. When she left, we naïvely thought we were in a stable enough place to go it alone. But the seizures and the side effects didn’t care what we thought, and they came back with old friends. The behavior issues we thought we had overcome were back and, before we knew it, they overwhelmed us. We finally asked for help, and we’re hopeful that we were blessed again with our new nanny. This year, like every year since his diagnosis, we’ve adjusted my son’s medications. We stopped CBD and another medication because they weren’t working for him and started a new one. 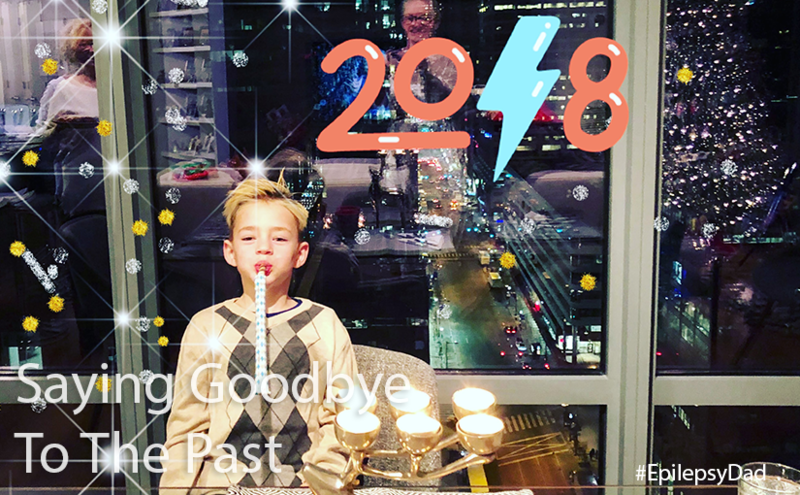 We’re ending the year with fewer seizures but more side effects and trying to strike a balance. He’s still on the ketogenic diet but at a lower ratio, and I’m hoping by this time next year he will be off it completely. My son also started second grade, which is a testament to his resilience. But it has also shone a light on his limitations. Academically and socially, school is challenging for him. We’re continuing to adjust his education plan and our expectations, but it will be a long, uphill journey. 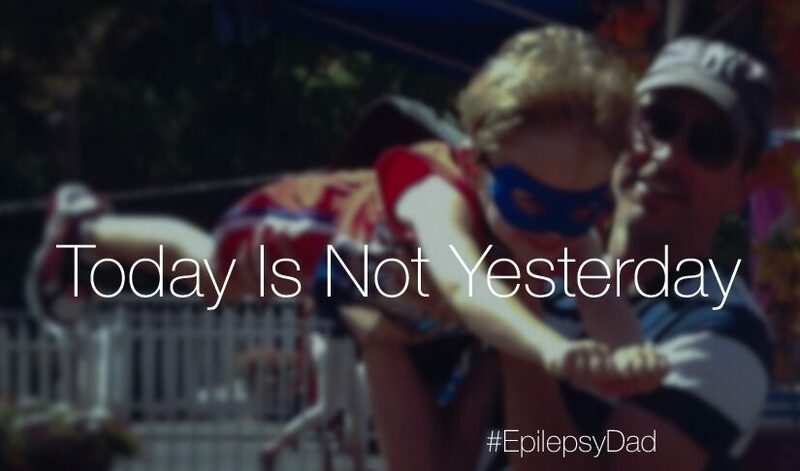 There isn’t a moment from last year that wasn’t touched by epilepsy. Every day we face the reality that our son has seizures, and needs medication, and faces challenges. But that doesn’t mean it has to define our year or our lives. Somewhere in the middle of this, we went on a family vacation to Hawaii. It was an opportunity to get away from everything. The seizures followed us, but the experiences we had made them feel like a minor annoyance instead of the gorilla that we deal with daily. We visited family in Florida and Colorado. I ran a half-marathon, and we did an Inflatable 5K and became Spartans as a family. In reflecting on last year, I want to say goodbye to it. I want to learn the lessons that it taught me, but I want to focus on the year ahead. It’s important to know where you have been to know where you are going. To repeat the things that brought you joy. To avoid the things that took away from your existence. To see the things you have survived so that you know you can survive them again. But it’s also important to be present in this moment and to look forward to the next. It’s still dark outside, but I’m at my usual station, too early in the morning, writing. My son had a short seizure that woke me up. My wheels started turning and I couldn’t turn them off. The upside of him sleeping in our bed is that I don’t have to lose sleep wondering if the monitor is working. The downside is that his seizures are right in front of me, and its impossible to go back to sleep once they are over. At some point, he isn’t going to be able to sleep with us. He’ll be too old and too big to fit in our bed. If there were ever a reason to wish him to remain seven forever, that might be near the top of my list. Coming in a close second is the fear that his condition is going to get worse as he gets older. Our doctor is concerned about what happens at puberty. It’s another stage of brain development where seizures can change or be more severe. I thought it was impossible for things to get worse. Apparently, they can. 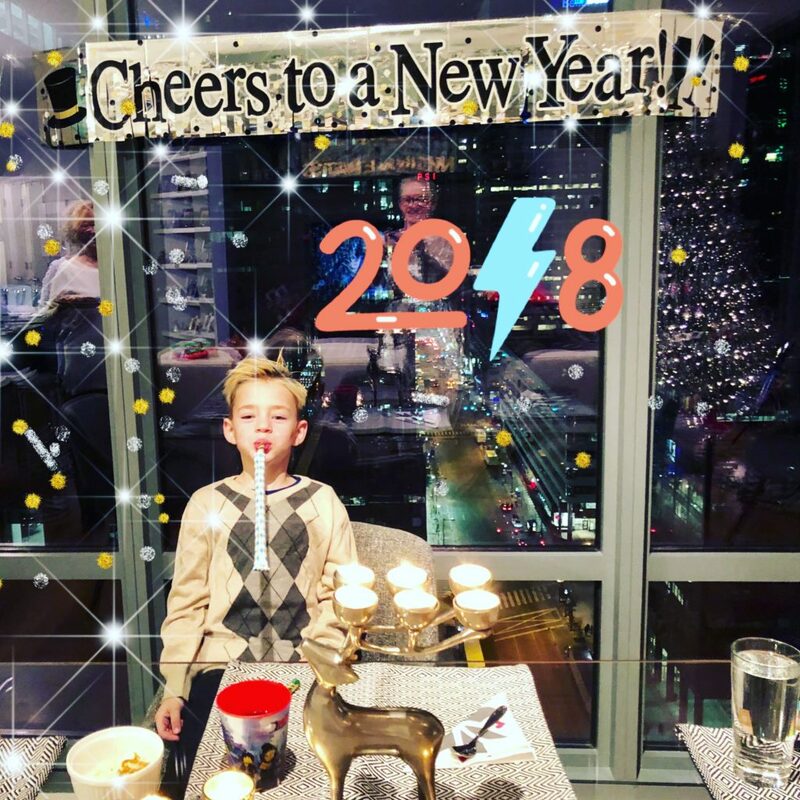 Today, he’s only had epilepsy for a fraction of his existence, but by then, he’ll have had epilepsy for most of his life. We’ll long have lost count of seizures, and meds, and have long forgotten about the time before this began. It will be all we know and all he can remember. This is what happens to my unrested brain so early in the morning. It gets pulled into the stream and dragged wherever the current takes it, and there is no safe shore for my thoughts to land. The present is filled with seizures, medicine, side effects, and, presently, a lack of sleep. The future has too much uncertainty, doubt, and fear. The past is too painful. Remembering a time without epilepsy is getting harder and, if I try, it makes me sad. What we saw for our lives back then was not this life. My coffee sitting on the window sill does little to pull my unrested brain back to happier thoughts. 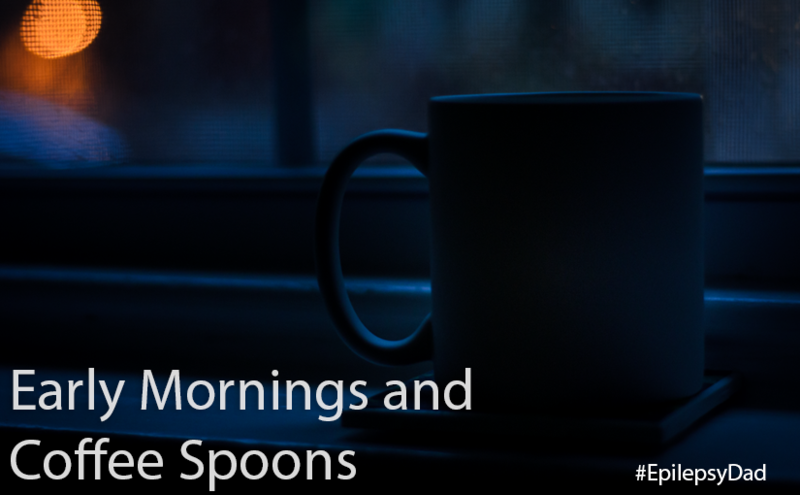 But as I stare out onto the dark street, I can at least resist the urge to measure our lives with coffee spoons, in careful doses or as an observer. There is so much left to our journey, so much active living to do and so much of it is unknown that dwelling in any one place is fruitless toil. Instead of focusing on a when, I try to focus on my what. My what is my family that is together and, in many ways, stronger than ever. Most days are hard, but there is always something to be grateful for. We have a nightly routine where we call out something that we’re grateful for from our day. Even if we skip the rest of our routine, that one gets done. Because those things for which I am grateful are worth measuring, and I want to focus on adding as many of them as I can to this life. On that note, I’m going to sneak back into bed and lay next to my family. I’m going to do everything that I can to settle my mind and be present in that feeling of being together. And, maybe, I’ll actually sleep.